Hear from the SBA, DLA, and more! In support of Tax Security Awareness Week, a free IRS webinar is being offered to help taxpayers understand the Dark Web and how it is used as a repository for stolen identities, credit data, tax information and banking/financial information. During this webinar, IRS Criminal Investigation representatives will provide an overview of the Dark Web and answer questions that will help people recognize the risks and use of the Dark Web by cybercriminals. DLA Land and Maritime Office of Small Business is proud that FY18 was the “Year of Education” and we will continue into FY19 . We will be hosting 2 webinars a month covering a variety of subjects. For the month of December, our first webinar will be: "Pricing”. This information can be useful when working with DLA Aviation and DLA Troop Support. Wednesday, December 5, 2018 at 1:00 p.m. The federal government typically spends approximately $500 billion in contracts every year. 23% of those dollars are required to be awarded to small businesses. Join us for an overview of how to make the federal government your customer. Learn about SBA resources and certification programs to help your small business successfully identify and compete for federal contract opportunities. Our guest speaker is Byron McCollum, Small Business Program Manager at Western Area Power Administration (WAPA), one of four power marketing administrations under the Department of Energy (DOE). Learn more about WAPA, what they buy, and insight into doing business with them. Dec. 12: SBA - Does the Federal Government Buy What I Sell? in Phoenix. Join us and bring your laptop, for an interactive session to research and determine if there is a need for your product or service in the federal marketplace. 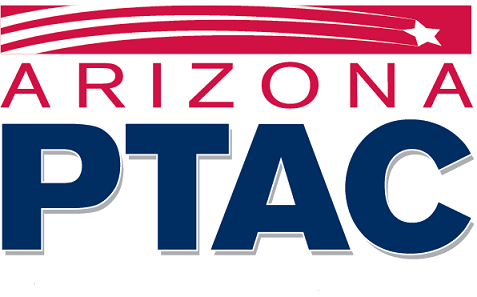 Speaker is AZPTAC Assistant Program Manager, Lori Haozous. For more information.